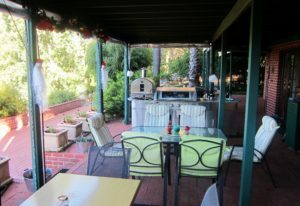 is a country retreat, only two hours’ drive from Perth. 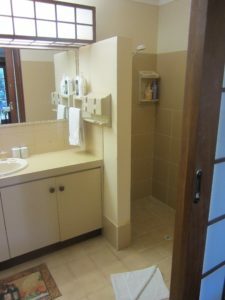 The Lodge has an established reputation for excellence in service, hospitality and facilities. KingTree is situated in the beautiful Ferguson Valley and offers comfortable accommodation in private rooms with full ensuite. Relax in this peaceful setting, unwind and enjoy the ambience of a country retreat in a National Jarrah Forest. The views from the lodge are truly lovely. An abundance of native wildlife will delight you. 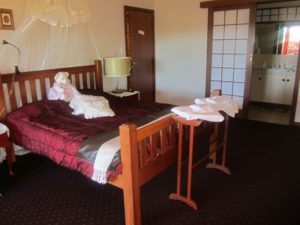 A room only stay for two people is $160 per day. Deposit is $80 per day. Room one has a queen bed and a small bed for a toddler. 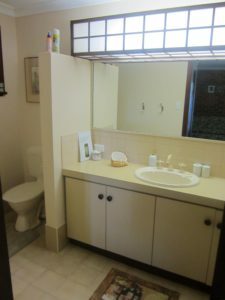 The full ensuite has a corner bath with over the top shower. Room two has a queen bed, a pull out double bed couch and a full ensuite. Room three has a queen bed, a single bed and a full ensuite. 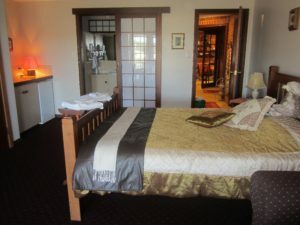 Room four has a king bed, a pull out double bed couch and a full ensuite. Continental Breakfast, serve yourself, from the downstairs coffee and tea bar is $10 per person. Upstairs dining and breakfast can be negotiated. Rooms are all downstairs with French doors leading directly onto the downstairs terrace sitting area outdoor kitchen and the view of the Ferguson River Valley. 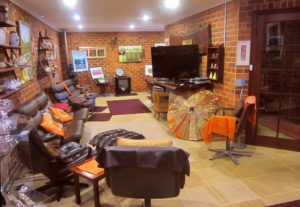 Enjoy the evening in the comfy home cinema lounge with a selection of hundreds of DVDs. 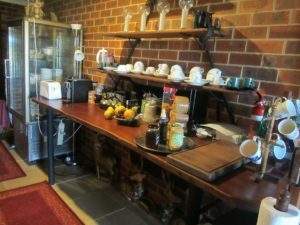 KingTree Lodge is located approximately 38 km east of Bunbury, 28km south of Donnybrook , 34km west of Collie and 2km north of quirky Gnomesville. Guests can walk from the lodge to this bizarre destination and greet the little folk. Cheryl Rourke, your KingTree hostess, placed the second gnome at this village. 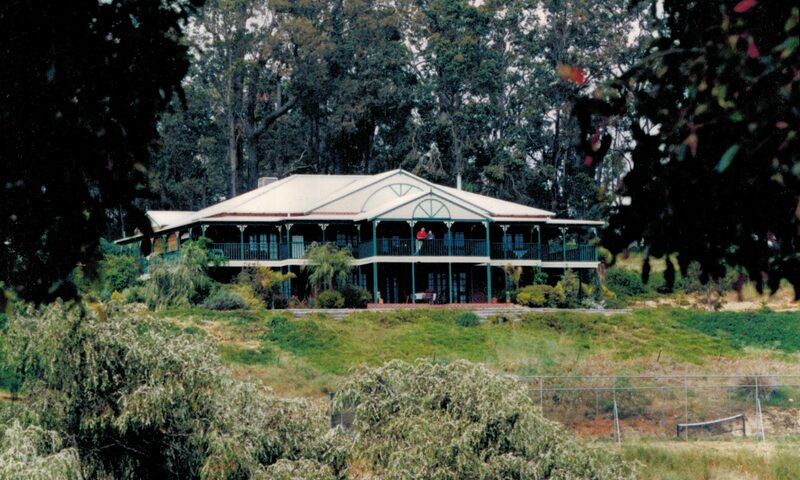 To reach KingTree Lodge from Perth, follow the Freeway South bound onto Forrest Highway south to a point approximately 15 km north of Bunbury, where Raymond Road is seen in your left. Take this road to the point where it meets the inland South West Highway, just north of Burekup. Turn right and proceed south on the inland highway, for about 5 km to the Waterloo-Dardanup Road to the left. Follow this road for 8 km, where it meets Ferguson Road at a T junction. (Kingtree Lodge is signposted at this point.) Proceed left on Ferguson Road, following the signs to KingTree.